The first and only, complete defibrillator sales, service and training provider in Northern Ireland. 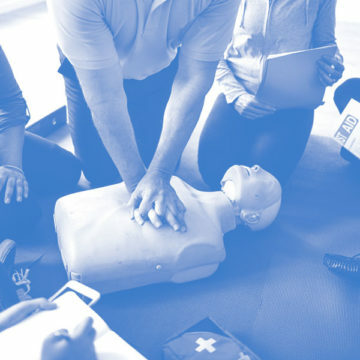 Whether an Automatic External Defibrillator (AED) is at your workplace, sports venue or health clinic it is vital to maintain a regular schedule of service checks on the device. Not doing so risks death in an emergency situation. An AED is like any other electronic device. It has a limited life span. Just because it may not been used since purchase does not mean it is in perfect working order. Moisture, dirt, exposure to chlorine in swimming pool environments, all of these can invisibly deteriorate your AED. Defibrillator Services NI will check your AED throughly, repairing or replacing any faulty mechanism. According to The Annals of Emergency Medicine, 23% of AED failures are caused by battery issues. 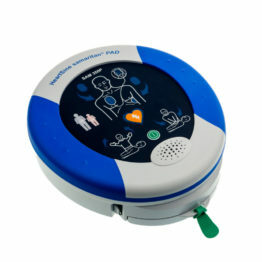 Besides performing a check on your AED’s battery, Defibrillator Services NI will also test the device’s Electrode Pads, the point of contact between AED and the patient. It just makes sense to contact Defibrillator Services NI now and schedule a service appointment. We are conveniently located in Lisburn and are able to schedule an on-site inspection at a time convenient to you. If we detect a problem with your AED we can provide you with a temporary replacement while we repair your current device. The subjects discussed can be agreed beforehand, or by questions from the group at the session. This methodology is based on the assumption that if the group asks the question they will remember the answer. A full afternoon or evening session for any and all invited staff and volunteers. The Four Hour Course can be custom-designed to reflect the specific needs of your organisation and the experience of the students. A question and answer session is included for any concerns not covered in the Course syllabus. A full day Course split into two sections with a mid-session break. By the end of it we will have trained your leaders and staff so they are completely prepared to efficiently and safely handle any and all common health emergencies. Unusual variations such as poisons and pre-existing conditions are also covered.